Get your school mascot Decals and Stickers here! 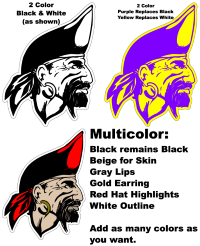 All mascot decals are CUSTOM MADE to your specifications of size and colors. Each mascot decal can be made in any width and are measured LEFT TO RIGHT. 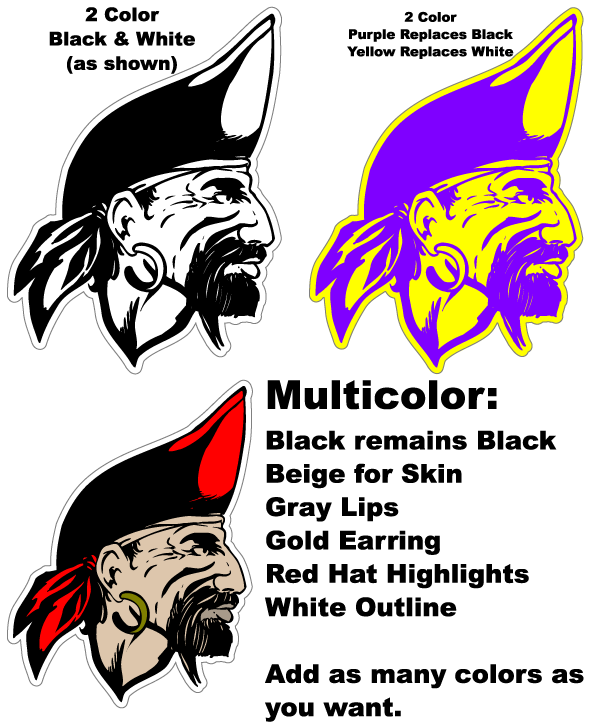 Your mascot decal can be made in any colors you want. Our mascot decals can be placed on helmets, cars, windows, lockers, folders, etc.